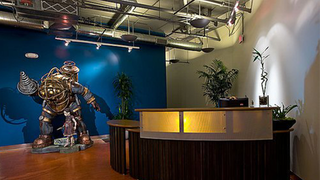 Irrational Games, the studio that makes BioShock, is shutting down. BioShock creator Ken Levine said today that he plans to move on to smaller, narrative-heavy games that will be released digitally. Levine, who ran Irrational, announced the news on the Irrational Games website today, noting that he'll be starting "a smaller, more entrepreneurial endeavor at Take-Two" and laying off all but 15 people. The troubled development of BioShock Infinite was no secret—Levine's latest game was an expensive production, affected by multiple delays and scrapped features, which might explain his new focus. Levine's new goal, as he wrote today: "To make narrative-driven games for the core gamer that are highly replayable. To foster the most direct relationship with our fans possible, we will focus exclusively on content delivered digitally." Irrational's final project will be part 2 of the BioShock Infinite: Burial at Sea downloadable content,which is out next month. We've reached out to Take-Two for comment, and for more details on the future of the BioShock franchise. "BioShock is one of our most beloved and critically acclaimed franchises, and we are indebted to Ken and the talented team at Irrational Games for their contributions to the series with BioShock and BioShock Infinite; the latter being one of the most decorated games of 2013. The BioShock universe remains a rich creative canvas for many untold stories, and we look forward to exploring the next BioShock experience."